These sneakers have soul in their soles. a perfect fit, molded to my feet! I can't let them go. A young boy's mother wants him to get new shoes since his current ones are dirty and falling apart, but he just can't bear to part with them... or can he? As you can see above, this book has wonderful writing,. I kind of love the somewhat contradictory nature of waxing poetic over a pair of old, worn-out sneakers. 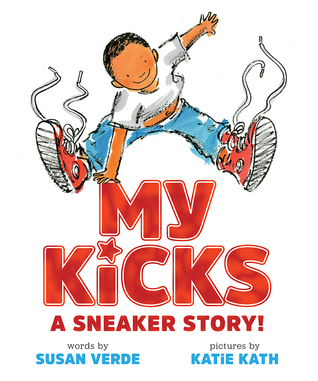 I'm not entirely sure a child as young as the main character would have that ability to reflect and wax poetic on all the memories he had with his favorite sneakers but it's still a fun read and worth reading aloud to students.